Although this area is temporarily without a member to assist you we can still help you with any concerns you may have. 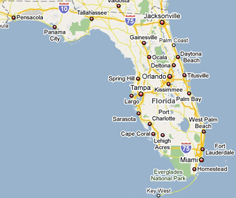 We can also put you in contact with various elder care services in Nort Florida. Click here to Request Assistance from the Florida Care Planning Council. Although this area is temporarily without a member to assist you we can still help you with any concerns you may have. We can also put you in contact with various elder care services in Southwest Florida. Click here to Request Assistance from the Florida Care Planning Council. Although this area is temporarily without a member to assist you we can still help you with any concerns you may have. We can also put you in contact with various elder care services in West Florida. Click here to Request Assistance from the Florida Care Planning Council. Although this area is temporarily without a member to assist you we can still help you with any concerns you may have. We can also put you in contact with various elder care services in Broward County. Click here to Request Assistance from the Florida Care Planning Council. Although this area is temporarily without a member to assist you we can still help you with any concerns you may have. We can also put you in contact with various elder care services in Miami - Dade. Click here to Request Assistance from the Florida Care Planning Council. Although most home care is provided by family, friends or volunteers, there is a growing trend in Florida to hire paid individuals or professionals to provide this care in the home. The hiring of care is prompted by a growing trend for traditional caregivers to be employed full-time and unable to offer much help or for family to live hundreds of miles away from the loved one and find it difficult to offer hands-on long-distance care.